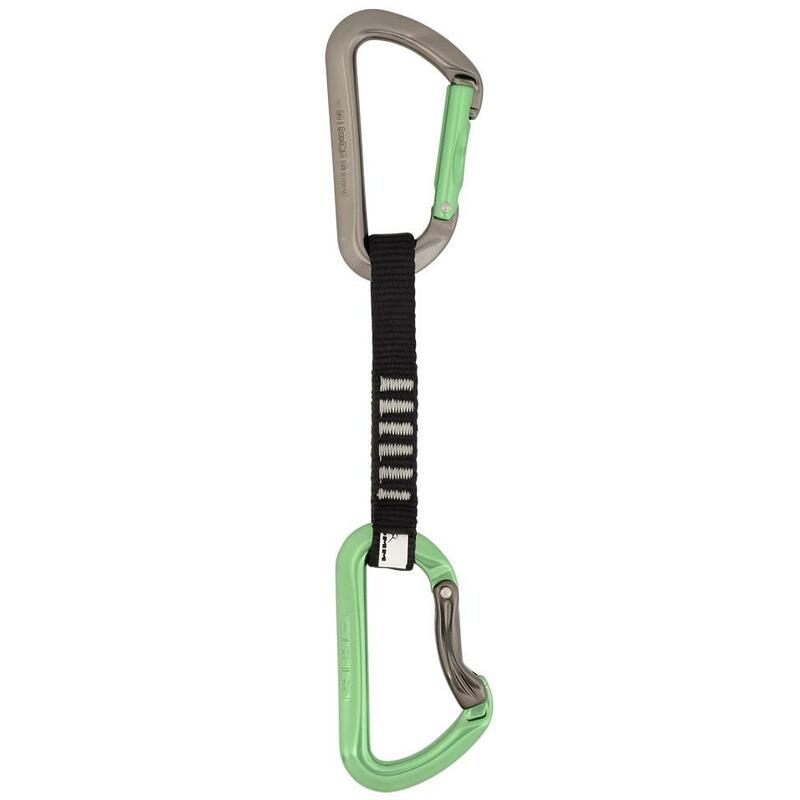 Aero Quickdraw - Green. Available in 12, 18 and 25cm lengths. 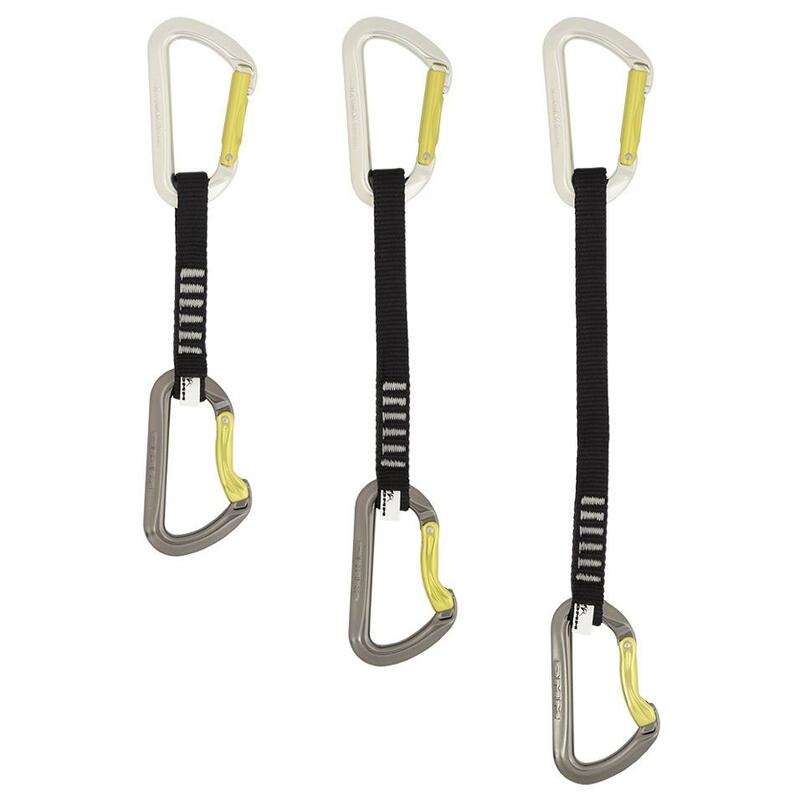 The Aero’s durable construction creates the perfect quickdraw for new climbers, and for working routes. 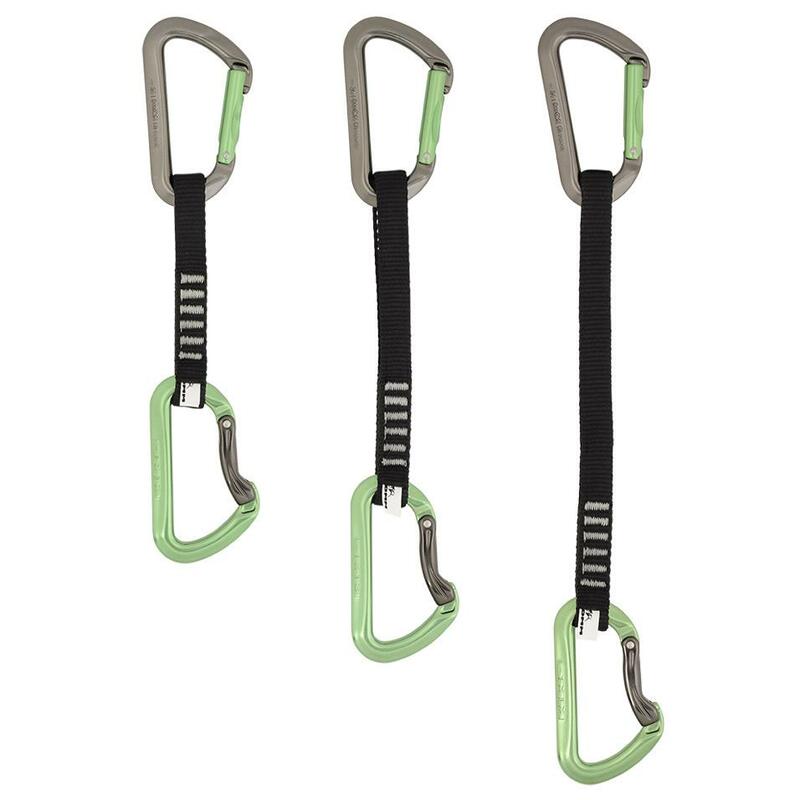 Aero carabiners are made from full section bar, giving a consistent surface for ropes to run over that reduces rope wear. 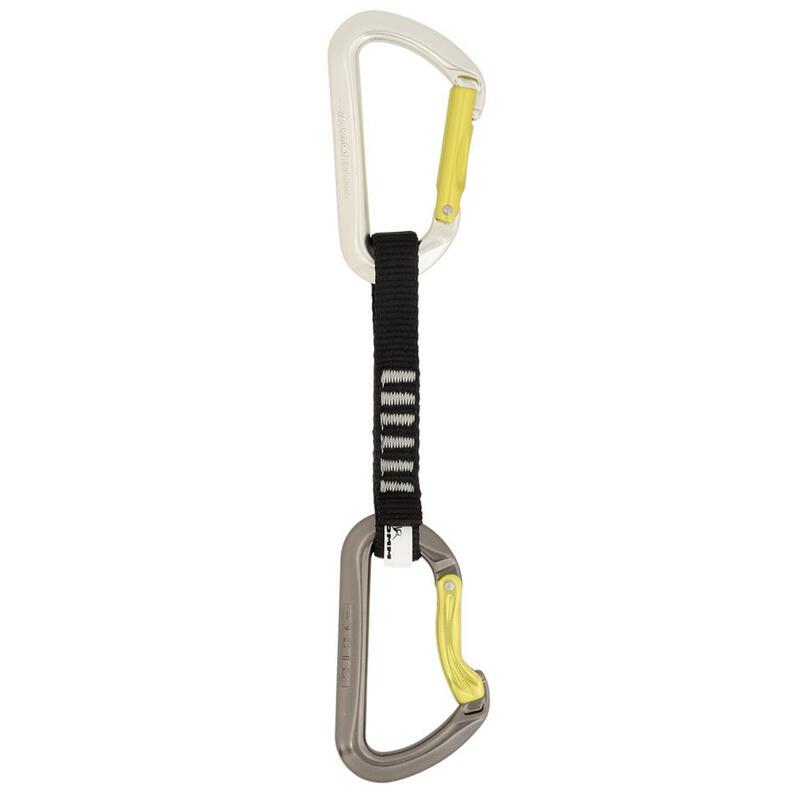 The thick nylon sling used to combine these makes it easy to pull back to your high point when working routes.